Sometimes an old spot gets a new life just because it’s under construction. 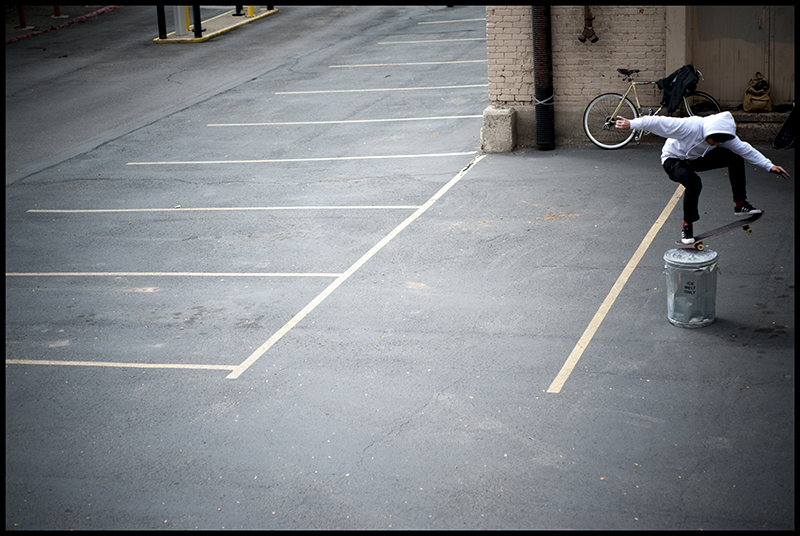 Skaters are generally resourceful and will use any junk possible to make a spot. No trip to Home Depot happened there—it’s not quite what you could call a DIY spot…But the trash bin someone left at the old Dead Goat location made for a fun session.